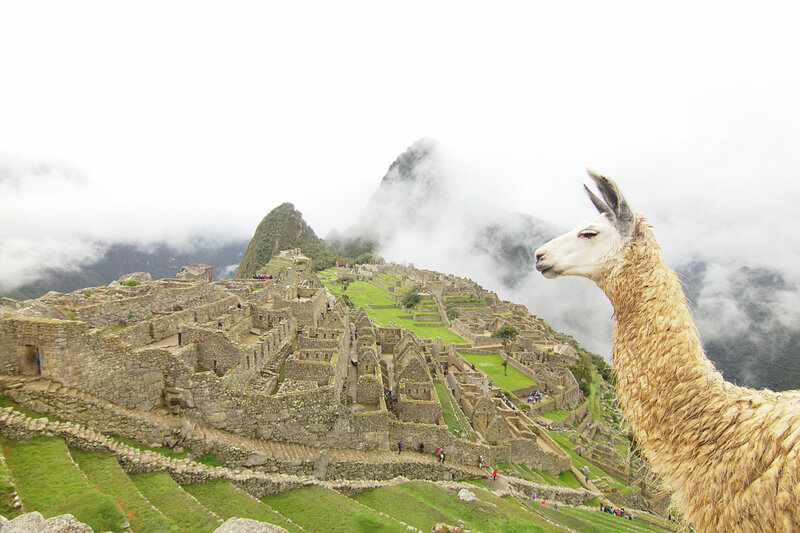 Our first trip to South American continent had to be Peru, thanks to this wonder called Machu Picchu. Frankly speaking we didn’t know what to expect when we were planning except that we would be seeing a few ruins, taking a vistadome train ride to reach there and a bit of hiking at an elevation of 12000 ft above sea level. Little did we expect that this would easily be the most marvelous and magnificent trip to any historic architecture. Built in the 15th century it is a sacred ruin which was abandoned by the Incas a century later at the time of Spanish conquest. It remained undiscovered by the Spanish and by any outside world until 1911 when an American explorer Hiram Bingham with the help of Peruvian local farmers discovered and made it known to the entire world. A lot of it has been restored but quite a few structures have been reconstructed to give tourists an idea of what it looked like. There were over 200 dwellings in here and a few temples main and biggest being “Temple of the Sun” located at the upper level. The rocks are situated to directly face the sun during winter solistice. 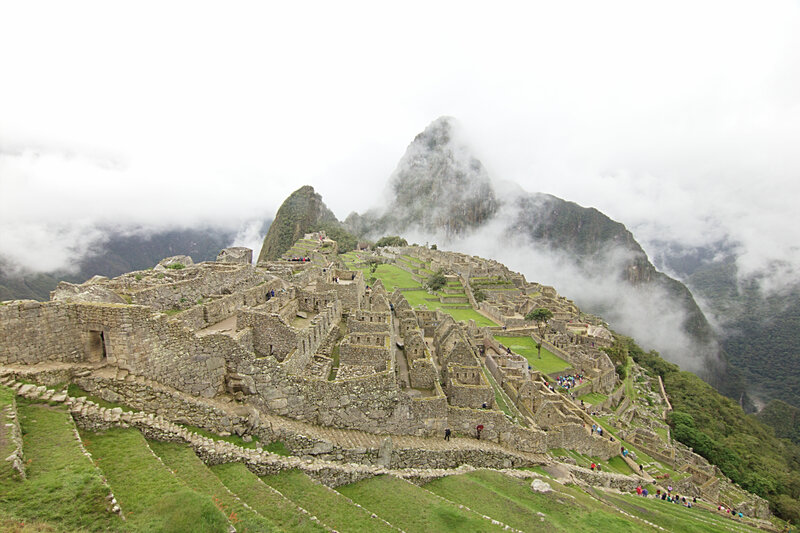 There are several terraces that were used for agriculture back in the Inca times. In our ponchos with the agricultural terraces in the background! 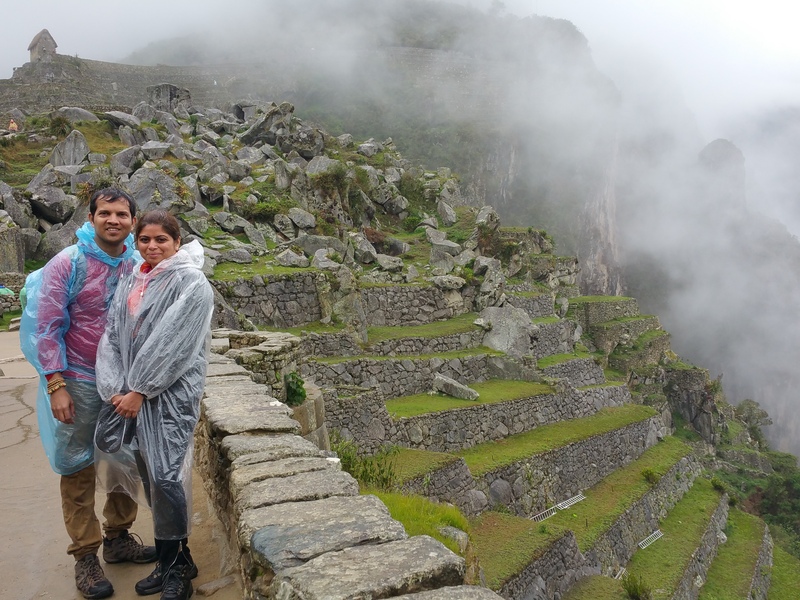 We took a 2 hour private tour – luckily by the time we got done with our tour it had stopped raining and we were ready to hike the huge ‘Machu Picchu Montana’. It took us good 2.5 hours to hike the Montana and back. Altitude makes it a little more difficult for you to hike. I had to stop every 15-20 steps to catch my breath. Once you see the views whenever the cloud cover clears for 20 seconds that is, you forget all about the altitude sickness! We spent a good 6-7 hours in there that left us completely satisfied. Make sure to preserve your ticket even after entering coz there are no restrooms inside Machu Picchu so you will have to come out all the way through main gate to use one and re-enter showing your ticket and passport. It would be ideal to carry some fruits and snacks since the cafeteria located right outside is ridiculously expensive with not too many veg options. The best way to go to Machu Picchu is to take a train from Cusco or Ollantaytambo to Agua Calientes (base town of MP) then a 20 min bus ride to the gate of Machu Picchu. We stayed in Cusco for 2 days exploring the city before taking Peru Rail from Ollantaytambo to Agua Calientes. It was raining the night we reached Agua Calientes – sceptical of our hike and views for next day we put ourselves to sleep leaving the worry for next day. We woke at 5:30am and took one of the early morning bus to Machu Picchu. The path created is a narrow yet beautiful one caved through lush jungle and high peaks. If you don’t already have a guide you will find several of them at the main gate (like every other thing in Peru make sure to bargain with the guide as well). Wow this is breathtaking ! it is a really nice article thank you.